Some people see balding hair as something inevitable and uncontrollable. Although partly true, it would surprise many to know that there are actually vitamins for hair growth. You see, just like most other parts of your body, your hair also needs the right nourishment and such can be sourced from the food and nutrients you take in. In this article, we will outline some of the most important vitamins that have something to do with hair growth. Many clinical studies have shown that deficiency in vitamin D does not only lead to a condition called rickets, but leads to hair loss as well. Vitamin D is an essential nutrient that promotes cell growth. Although the link between this vitamin and hair regrowth has yet to be established, many people report having experienced good hair growth and prevention of hair fall with taking the right amounts of vitamin D.
The benefits of vitamin E are not only limited to their antioxidant properties for younger looking skin. In fact, because vitamin E can fight free radicals, they can prevent the disturbance of growth hair patterns caused by free radicals. It has also been found that this vitamin can boost circulation of blood in the scalp, which in turn in responsible for supplying enough oxygen to the hair for healthier hair strands. The B vitamins, especially B6 and B12, do not only play a role in the conversion of glucose into energy for proper use. One of the benefits of B complex vitamins is that they contribute largely to the maintenance of healthy skin and hair. 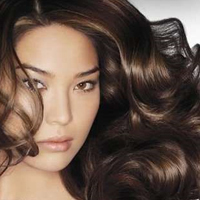 Vitamin B plays a major role in the production of proteins, which is one of the major components of hair. Studies have also established that vitamin B6 injections can help accelerate hair growth caused by various factors. Good amounts of vitamin B can also give hair good texture and shine. Just like Vitamin E, vitamin C is rich in antioxidant properties. If you want to keep your skin, nails and hair looking healthy, you might want to take enough amounts of vitamin C. Not only does vitamin C ensure proper growth of cells and tissues, but they boost immune function as well. Furthermore, vitamin C also helps in the formation of collagen, which is another major component of hair. If you are one of the many people suffering from unexplainable hair loss, there is no better time than now to evaluate whether you are getting the right vitamins your body needs. Hair loss is oftentimes a symptom for other conditions. Even so, it pays to take immediate action before irreversible results come in. Hair loss, when caused by vitamin deficiency, can be easily reversed through a diet rich with fruits and vegetables. Taking multivitamin supplements can also assure you that you are nourishing your body and hair the right way. Make sure to choose the right vitamin supplement for hair growth.